About SubhaVaastu.com Vastu Shastra Website and Some Great Indian Personalities: This Website SubhaVaastu.com created to do services to the public who are looking for Vastu Shastra without any website registration. Our main concept is to publish useful information which should serve vastu content by having appropriate easy understanding images. Many experts in different fields worked for this website. Almost daily this website is updating with more vastu information. Other than vastu shastra information we love to spread spirituality in our society by preparing spiritual wallpapers of all religions. We based in India. I am Suresh and I'm a volunteer in this free vastu shastra website project. I don't get paid a rupee for my work at SubhaVaastu.com. When I founded SubhaVaastu.com, I could have made it into a profit motive organization with heavy advertising banners and Google Adsense, but I decided to do something different to my sweet society and people who don't have pay to Vastu Consultants. Commerce is fine and its not an evil. Advertising is not a bad idea. But it doesn't belong here and nothing shown like that concepts. This website doesn't have commercial ideas. You may browse any web link here on free of cost, hassle-free browsing is the main concept here, for this vastu website no need to login or registration and the like. This website shows a easy to understand our information by just observing the images. Readers should be careful before following any tip or technique which were published here. Whatever the hint/tip/idea which we published here may not be perfectly suitable to your property. Based on our observations/knowledge with the properties we done in our carrier may not be exactly the same with your properties. So requesting every one do have one vastu experts opinion before doing the corrections or taking the decision of buying the properties. SubhaVaastu.com is a Vaasthu Shastra website and something special. It is like a library or a public park or your home full of books stuff or book racks. It is like a temple for the mind. It is a place we can all go to think, to learn, to share your knowledge and thoughts. It is a unique human project, the first of its kind in the vastu history. It is a humanitarian project to spread our thoughts and experiments on free Vastu encyclopedia to every single person on the planet. To do this without resorting to advertising, we need you. It is you who keep this dream alive. It is you who have created SubhaVaastu.com. It is you who believe that a place of calm reflection and learning is worth having. It is you, still, live this project on the internet. Without you, noting is possible here. This year, please consider making a donation. Here again, donation means not in the way of money, blessing our hard work, "spending some seconds and spread your spiritual thought of vibration to us, bless us" that is a meaning of donation here. Looking for your kind heart here. Spare some time to needy who doesn't have to pay for vaastu consultants, show your bold and open heart to our sweet society. Many may searching for vastu requirements, it could be very useful if you spare some seconds in sending our website information related to Vastu Shastra and Spiritual wallpapers to their emails. A small Vastu Tip may change their life. Who knows a simple Idea may change the entire life. We strongly believe that without YOUR support we may not achieve the success here. Without advertisements, without ads at news papers and in news channels, this site become most popular one in our society. Daily 50,000+ hits observed and approximately 5,000 to 6,000 unique visitors are visiting our site. Who is behind this success, its you, only YOU. None of this would have been possible without you. This is your website. It is yours. Honestly speaking the birth to this Vastu Website placed in the year 2003, October, from that day we are thinking on how to serve genuine vastu articles with an easy understanding method to the society, discussed with many people, so many added the work go with advertisements, earn more money, drag ads etc. We hate to do commercial thoughts here. From the day one, we criticized ourselves and making this site as much easy as possible to browsers. 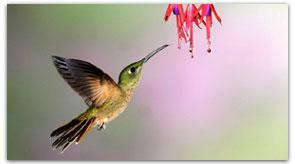 The above image is a bird, taking its food from a flower, it shows that our intention is that you may also read an article, any day, any time. This website is a flower, grasp whatever you want from this flower, this flower is always fresh and daily shines. This website is a non-profit motive. Many poor people in our society does not have money to pay for vastu consultants, some rich families also facing such temporary troubles not having money to pay for vastu pandits, for them this website may be a good stay of a library. We opened one link which may be useful for our Indians. Dear NRI's this link is particularly prepared for you, if you are an NRI then don't miss to open this Indian Vastu Shastra link. This is particularly prepared for our Indians. Use to read now. We inspired with his services to the man kind. Its an great opportunity for us to learn more about this legend. Mr.Kalayanasundaram worked as a Librarian for 30 years. Every month in his 30 year service, he donated his entire salary to help the needy. He worked as a server in a hotel to meet his needs. He donated even his pension amount of about ten lakh rupees to the society. He is the first person in the world to spend entire earnings for social cause. In recognition to his service, the American government honored him with "Man of the Millennium" award. He received a sum of 30 crore rupees as part of this award which he distributed complete for needy as usual. He still stays as a bachelor and dedicated his entire life for serving the society. Moved by his passion to help others, Super Star Rajinikanth adopted him as his father. Atleast have the courtesy to pass this on and on till the whole world comes to know about this Great Good Samaritan. Hat's off Kalayanasundaram Sir. We Indians are extremely proud of you and proudly say "THIS HAPPENS ONLY IN INDIA" Service upto last breath, the guiding principle of P. Kalyanasundaram, who spent over 45 years in social service. A gold medalist in library science, he is also an M.A., in literature and history. During his 35-year-career as a librarian at the Kumarkurupara Arts College at Srivaikuntam in Tuticorin district, he gave away all his salary for charity and did odd jobs to meet his daily needs. He has also come forward to donate his body and eyes to the Tirunelveli Medical College. Mr. Kalyanasundaram, who has founded a social welfare organization, `Paalam', shares his experiences in a chat with Prathiba Parameswaran. 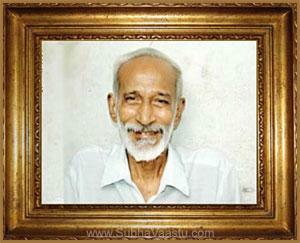 SIMPLICITY IN life and exemplariness in practice has been the hallmark of Mr. Kalyanasundaram. 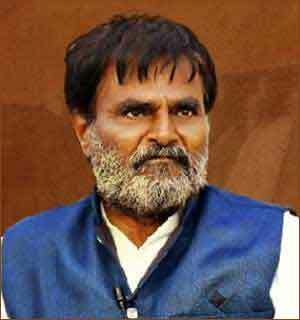 Born in August 1953 at Melakarivelamkulam in Tirunelveli district, he lost his father at a very young age. It was his mother, who inspired him to serve the poor. When he was at college, the Indo-China war broke out, and he contributed his gold chain to the then Chief Minister, Kamaraj, for the war fund. At this time around, he went to meet Balasubramanian, Editor, Ananda Vikatan. "He sent me away, saying he would write about me the day I donated something I had earned myself. I did not speak a word to anyone about what I had done. I took it as a challenge," Mr. Kalyanasundaram recalls. Ever since he got a job as a librarian in Tuticorin, he has contributed all his salary, pension benefits and ancestral property to social welfare. It was not until 1990, when he received his pension arrears and contributed it to the Collector's Fund, that the then Tirunelveli Collector felicitated him, despite his protests. The `Paalam' serves as a bridge between donors and beneficiaries: it collects money and materials from those willing to donate and distribute them among the weaker sections. It has also contributed to the cyclone relief funds in Tamil Nadu, Andhra Pradesh and Orissa (Odisha), and has helped the earthquake victims in Maharashtra and Gujarat. "We cannot sustain ourselves unless we contribute towards the society in some way or the other. I strongly feel if even one person does his bit towards social good, there will be some change," he asserts. Mr. Kalyanasundaram feels that one must achieve something in his chosen field. His contribution to library science is immense. A thesis he submitted as part of his post-graduate course to the Madurai Kamaraj University fetched him distinction. He has also hit upon an easy way of tracing and accessing books in libraries. His ability to strike a rapport even with youngsters is remarkable. He cites the instance when he started wearing khadi. At college, he was required to take classes on Gandhianism. "I had to speak about simplicity and everything Gandhi stood for, but I was clad in expensive clothes. That was when I decided to switch over to khadi," he relates. Since then he had always practiced what he stood for, making himself a role model for many youths. He was popular among college and school students, and many of them have joined his organization. He has long-term plans for his organization. One is the setting up of a nationalized digital library with modern equipment, which could be accessed by people from all walks of life. He also wants to set up an international children's university in Tamil Nadu, with foreign aid. However, he say, a mission has a meaning only when the right people are involved in it. The Directorate of Public Libraries should recruit people with a library science background to be librarians, he says. "And good librarians should have a broad knowledge of everything." If you have 2 seconds time and IF YOU KNOW ANY POLITICIAN, Please do share this article to them. Selfish mentalities may not always have light and fame in our society, their nature spoils the entire campus. 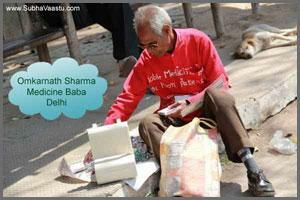 Omkar Nath Sharma, is a man with a mission of establishing a medicine bank for the poor.. He comes from a financially modest background. He cannot walk fast or run ever since a childhood accident at 12 ruptured his knees. He looks after his son, who, after an accident, is often unwell. Yet, compassion comes easy to Omkar Nath Sharma who goes from door to door, collecting unused medicines and requesting people to donate drugs for patients in need. Affectionately called 'medicine baba' by children, Sharma wears a red kurta bearing his mobile number and the words 'Medicine Man'. He walks 5 km daily, tirelessly making the rounds of different localities throughout the year all over Delhi. After carefully scrutinizing the drugs and keeping meticulous accounts, Sharma donates them to patients through a network of around 10 NGOs and hospitals including Dr Ram Manohar Lohia Hospital and Deen Dayal Upadhayaya Hospital. Having spent 27 years as a medical assistant at Kailash Hospital, Noida, Sharma began his labour of love three years ago. It isn't an easy job. "Yes, some people are cynical and unmoved by the cause," he rues. "Many even think I am a cheat!" That's why gestures like a recent phone call from Kuwait warm his heart. "I was so touched and amazed when they offered to donate medicines all the way from there." Dr Mahavir Prasad Vast, head of the pharmacy, Dr Ram Manohar Lohia Hospital, says, "It's difficult to find people like him, who despite their handicap are willing to serve mankind." We second that. A great personality is living for us, moving for us, sharing time for us, spending money for us, looking for our good health, he is not expecting any thing from us, just collecting unused medicines to be shared with other people, who don't have money to buy, for this great cause, help him by sending this link to your friends/relatives, If you have 2 seconds time, then please inform this "information" (Page) to your friends. Your "TWO" seconds time may save your beloved people in our Society. If you don't have that soft corner and not interested to serve to the society, kindly leave our website. We do see only the visitors/people here who have kind heart and service mind. Selfish mentalities may not always have light and fame in the society. IF YOU KNOW ANY Hospital Management, PLEASE do Share THIS LINK WITH them. Dear Readers if you know any great personalities serving society please share their information, we will publish here. Just click the top right side contact us page, from there you may send us service oriented people information. Thanks in Advance. Another great personality. Sri. Dusharla Satyanarayana. One man army to create a forest in his own land. Read his story. Recently we have come across an interesting situation, one by name Mr. Satyanarayana, otherwise a normal person by any standards has developed a peculiar crazy idea about 40 years ago. This happened about 4 decades ago. He resigns from his job and abundant farming his 70 acres plot with the sole purpose of fulfilling his passion of creating a forest in otherwise prosperous farmland. 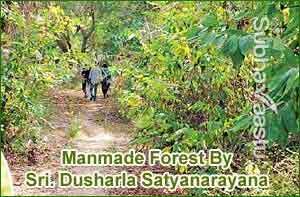 Though the farm land of 70 acres, not one or two, but 70 acres of land was giving two crops annually, he in pursuit of this passion converted into a luscious forest. Further, he went about collecting the seeds and seedlings of various forest trees from all over the country and planned the forest accordingly. We compare this to the private zoo by name Thoiry, close to Paris in France. Where animals are free in the forest and men go secured in vans. This man is similarly crazy. He brought in a variety of jungle animals to live in harmony in the wonderland. Look forward to similar persons to make the world a little better to live. More such people will surely address the climate control problem now the world is facing. We salute Sri. Dusharla Satyanarayana Garu. What is Fate, where can I get information? How to find out the best vastu pandit in India? House vastu, like to know complete information? Dining room vastu, like to know more information? Where can I get comments on SubhaVaastu.com website? Which direction is auspicious to place God Idols in a Pooja Room? Is there any connection between Vastu Shastra and Trading business? Somebody say that 3 burners are not good in a Kitchen, is it true to believe? What is importance of Vastu Purusha in Vastu shastra, science of architecture? Thanks a lot for this invaluable website. Whenever I have any query in my mind. I always come to this website and always get satisfactory solutions. Very reliable website indeed..